Very nice, like the comfort seat too bet that's friendly on the derrier, I'd have one but have the red and black version so won't go as well as you Tyco. No maps yet but that's sure to come soon. 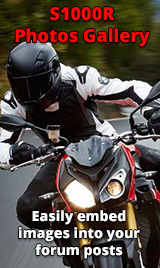 Rawdon, who makes your lower fairing and where did you purchase it. I bought mine on eBay, but I didn't immediately find any when I looked just now. Put a full Acro exhaust on mine with a Rapidbike EVO which has worked great. It controls all 8 injectors and runs an auto tune map based off what you want from the Lambda sensors readings then tells the ECU the Lambdas are running in the normal range so the map isn’t automatically adjusted by the ECU, really smart.They are working on a up down quick shifter auto blip which will plug in to the accessory port for less than $500 which would be awesome. 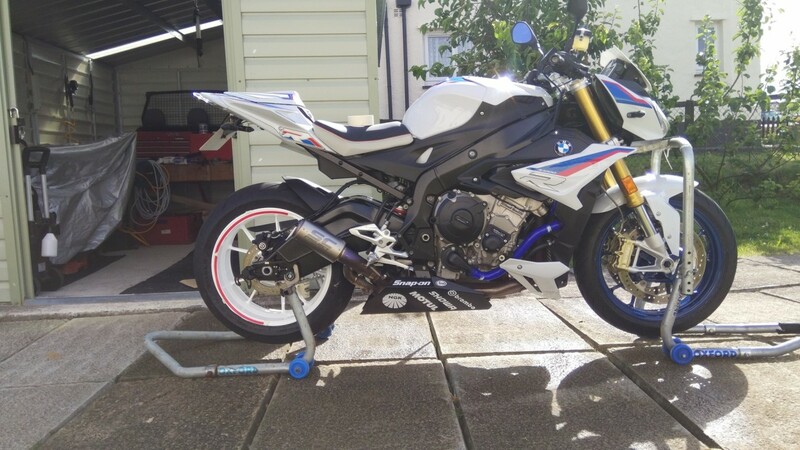 @Rawdon, why did you get a S1000R if you had a Superduke??? Almost everyone has reported a loss in midrange with a full system as well as increase in theobnoxious noise. Love loud exhaust but without the noise. To be honest a very nice australian man made the decision for me, when he T boned me doing a U turn. Having owned them both I genuinely think that the S is the better overall bike, But I would still have another Superduke. Main reason when i changed was a lack of local dealers near me. Hmm, almost everyone who rides a super duke won't get back on a S1000R. Its all motor. What do you like about the R more?